Over the next two weeks The Inspiration Room will be featuring design projects awarded at the Golden Pin Design Awards 2016 in Taipei on December 1. The Golden Pin award group announced its Best Design winners in two awards, the Golden Pin Design Award and the Golden Pin Concept Design Award, in a star-studded evening ceremony in the Performance Hall of the Eslite Spectrum Songyan store at Songshan Cultural and Creative Park. In the annual Golden Pin Design Award, Taiwan led the way, taking 14 of the total 23 Best Design trophies, followed by China (8) and Macau (1). This is the third year that the Golden Pin Design Award opened to entries from beyond Taiwan, and 2016 saw a record breaking number of submissions: 3,005 design products and projects from 13 countries and regions. 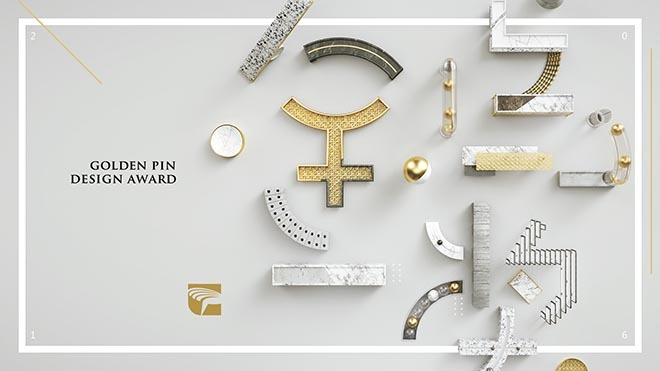 In some way, all of this year’s winning products and projects embody the Golden Pin Design Award’s mission: to showcase cutting-edge design specifically created for and within huaren (Chinese-speaking) communities. Oki Sato, founder and creative director of renowned Japanese design studio, Nendo, and Jury Chair for the Golden Pin Design Award 2016 Final Selection, said in an opening speech that the level of the quality of the projects entered into the award exceeded his expectations, and that he really enjoyed the judging process, despite how painful it could seem at times. “Along the selection process, we took into consideration important elements, such as function and aesthetics. In addition to this balance, we paid attention to particular elements such as the emotion. After all, design needs to connect people to people, as well as people and space,” he explained of the 2016 jury experience. On stage, Golden Pin Design Award Best Design winners expressed their gratitude to friends and family, colleagues and clients, teachers and mentors. Many talked of the motivation the award gave them to carry on in their chosen area of design, and some designers from abroad expressed excitement at the opportunity to come to Taipei and meet and exchange ideas with design peers from across the huaren world. Some talked about the similarity between Taiwan’s famed Golden Horse, Golden Melody, and Golden Bell Awards, which celebrate the film, music, and TV communities, expressing gratitude that the local design industry finally has an award of a similar calibre. Many noted that this award gives them courage that designers have the strength to revitalize traditional industries in the region. The ceremony, which was curated by innovative Taiwanese motion graphics studio, Bito, and hosted by popular local celebrity TV host Mickey Huang, was attended by members of Best Design winning and Finalist companies and studios, as well as huaren and international design world luminaries and other VIP guests from Taiwan’s political, arts, and business communities. 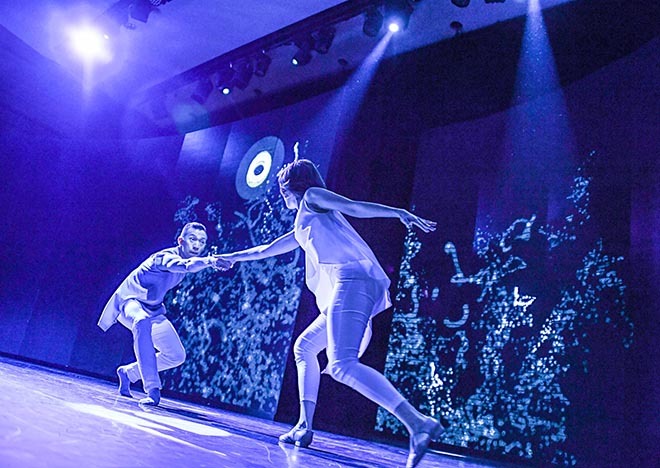 In the middle of the ceremony, guests were treated to a stunning multidisciplinary performance in which dancers from Taipei-based Ray Dance Company moved in synchronisation with a loosely Golden Pin-themed audio visual display created by Bito. The Best Design winners in both awards received a one-of-a-kind trophy designed by Loretta Hui-shan Yang and Chang Yi of the internationally renowned Taiwanese glass art brand, LIULIGONGFANG, as well as a certificate of recognition. 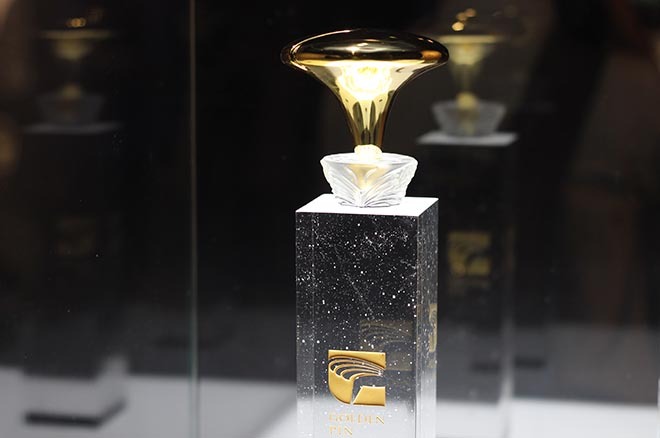 Best Design winners in the Golden Pin Concept Design Award also received one of three cash prizes, collectively totaling NT$900,000 (more than US$27,000). This video, ‘Earth.Heaven’, blends ideas from ancient Chinese culture with contemporary design to explain to audiences across the globe what it means to design for and within huaren (Chinese-speaking) communities. Bito explores the Golden Pin Design Award’s 2016 theme of ‘Heaven and Earth’ (天地 or Tian Di in Chinese), which is derived from the Chinese cosmological framework of the three universal elements of Heaven, Earth, and Humanity as highlighted in the ancient Chinese divination text, I Ching (also known as the Book of Changes in English). The dot (.) in the studio’s highly abstract creation represents the huaren designer flowing between the realms of Heaven and Earth on a constant search for inspiration. Bito’s design of the event invitation provided attendees with a pinball puzzle game. The Call for Entries film was produced for the Taiwan Design Centre at Bito, Taipei, by creative director/designer Keng-Ming Liu, producer Elise Gong, associated art director, designer, 3D animator, cel animator and editor Chu-Chieh Lee, concept and script team Keng-Ming Liu, Vicki Huang, Chu-Chieh Lee, 2D animator Phil Wu, 2D and 3D animator Wei Darvish, 2D animator Che-Chieh Chu, 3D animator Ching-Ho Kao, music and sound design team Chia-Wei Hsu and Po-Hao Chi. The Golden Pin Concept Design Award offers a total of NT$900,000 (more than US$27,000) in cash prizes, encouraging entrants to consider philosophies, ideologies, principles, or areas of thought attributable to huaren culture or lifestyles in their submitted concepts, as well as the Chinese concept of zhongguan (中觀). Aimed at younger or emerging designers who have yet to launch their products or projects to the market, the award acts as a litmus test for future trends in design for and within huaren communities.